If you have lived in Abu Dhabi for a while you would have heard about Maria’s Kitchen. 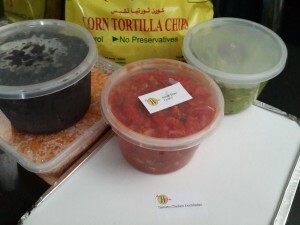 It is a business that specialises in home cooked Mexican food – a rarity in these parts of the world. Originally from Texas, Maria has been cooking for Abu Dhabi residents for the past 14 years. 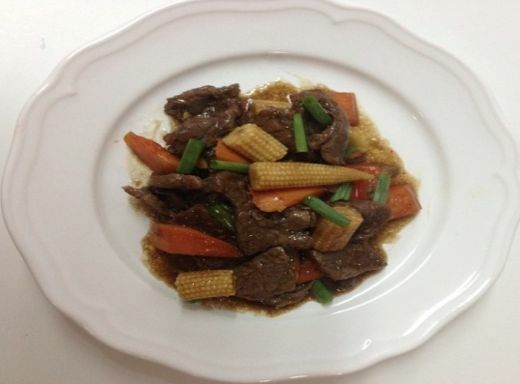 You must visit her Facebook page and view the menu. She offers a wide variety of delicious dishes that will have you staring at the menu for ages trying to decide what to choose! Here at RHWAD we admire Maria for her strong work ethic, her incredible sense of humour and her kind heart. We have been fortunate to know the woman behind the business, now we want you to. Meet Maria Al Hosani, the Real Housewife busy in the kitchen creating all of your favourite Mexican dishes. Starting my business, Maria’s Kitchen, 14 years ago and watching it grow every year into what it is now. Yes, I have 5 boys and 2 lovely girls who encourage me and have stood by me through thick and thin. I was a born Facebooker! I use it to update my Maria’s Kitchen groups and also receive orders through it. I love to sew, so getting into purse making along with sewing little girl dresses would be nice. I have to be honest, I don’t think I do a very good job there! When I’m home I tend to get business with computer work which means trying to keep my orders together, updating my group page and other paperwork. I do try to include my children in deliveries but I like the kitchen to myself. Usually Facebook, Youtube and food blogging sites. People would be my best friends, yes plural! They have been through the sludge with me and know all my deepest darkest sides of me. Places, I love the feel of The Living Room Cafe, if I could do everything there I would. I like the malls in Abu Dhabi, I have never been the “out doors” type so malls are at the top! I want to retire while I’m still at the top of my game, with some dignity  Maybe I won’t retire, kinda thinking about giving cooking lessons! Do you have any advice for women who would like to start their own company in Abu Dhabi? Just do it, says the woman who doesn’t want to open a restaurant. I do have my reasons! Be prepared to work, sacrifice and work some more. How did you come up with the idea to start your company? I was selling home-made Tamales to an ACS parent and Alicia Suwaina being my friend got whiff of it. So, she encouraged me to sell to ACS staff and parents while she advertised for me. Everyone liked the Tamales so much that I was asked to come up with more food ideas. I started with a menu that comprised of maybe only 3 types of Enchiladas, Rice, Beans and of course the Tamales. What challenges as a business owner have you had to over come and how? Main challenges have been technical, learning to use the computer, lol! It’s been pretty smooth! 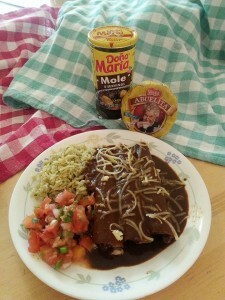 I miss Maria’s food tremendously! And I miss her too. She is a gracious and talented woman. Continued success, Maria. I’ve known Maria for many years now… she is one of the most beautiful ladies…. I am so, so proud of her achievements. For must try her Mexican food, it is fantastic.